We were lucky enough to receive a package from Anne Koyama last week. We now have an exciting selection from this brilliant Canadian publisher. In the shop there are three top titles by man-of-the-moment Michael Deforge, Grey Surprise by Mark Laliberte, Baba Yaga And The Wolf by Tin Can Forest and Root Rot, the brand new anthology. 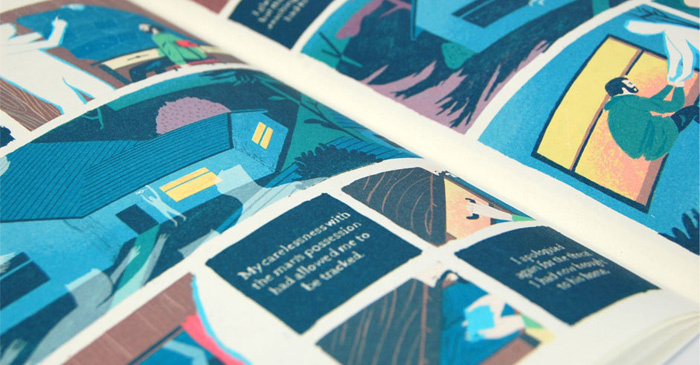 If you’re not familiar with Koyama Press then you need to be! If you are come down anyway, can’t get this stuff anywhere else in England as far as I know. Remember: we are at 62 Great Eastern St, EC2A 3QR, London. 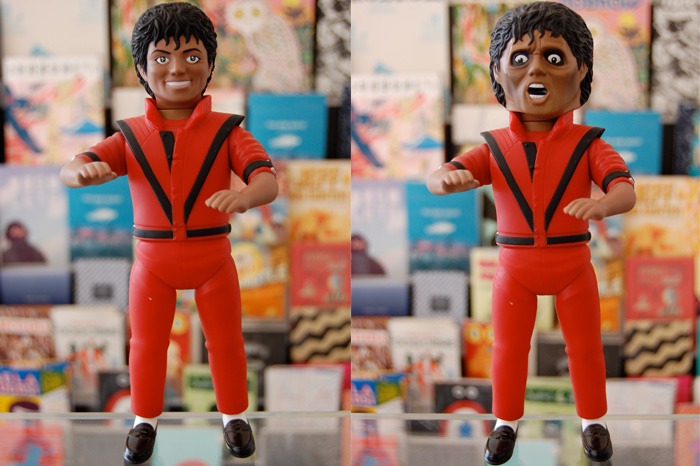 This guy is on display in our shop just to tease people with how ‘not for sale’ he is. This is for everyone who has asked me “how much?..” Don’t dispare! you can still get one from here, and if you’re interested you might also want to look at this site. Watch out! If you’re anything like me this kind of information could be very dangerous to your wallet. We just got in these great wooden items from Atelier Fischer in Switzerland. 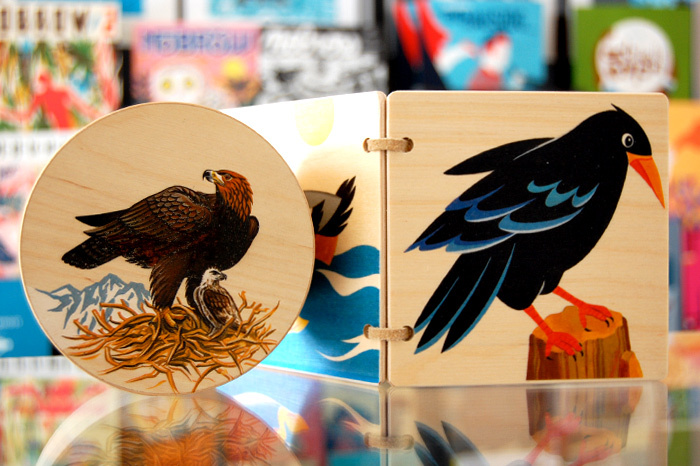 This is the first time we’ve ever had a wooden book in our shop! 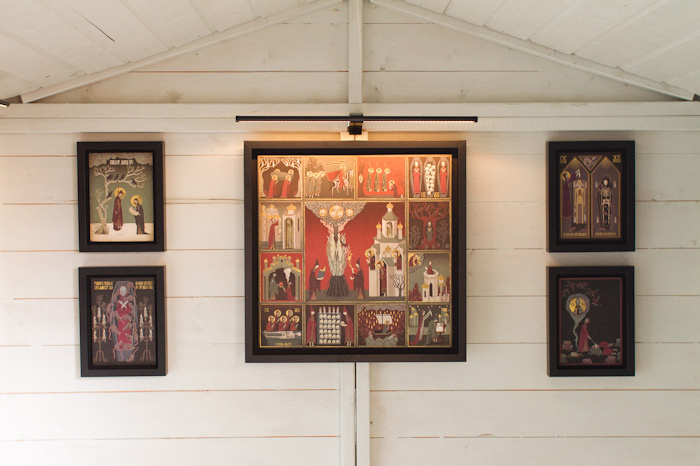 Come and see them at our shop and gallery @ 62 Great Eastern St. Emotionally eroded and on the edge of separation, the central couple are going through the classic stages of growing apart. Absorbed by insecurity, indifference, and steadily-growing resentment, they fail to notice the strange happenings that surround their final moments together. Sometimes magical, sometimes mundane, these unnoticed fragments of existence weave together and hang disconcertingly over their lives, isolated yet all-encompassing. Read More.. 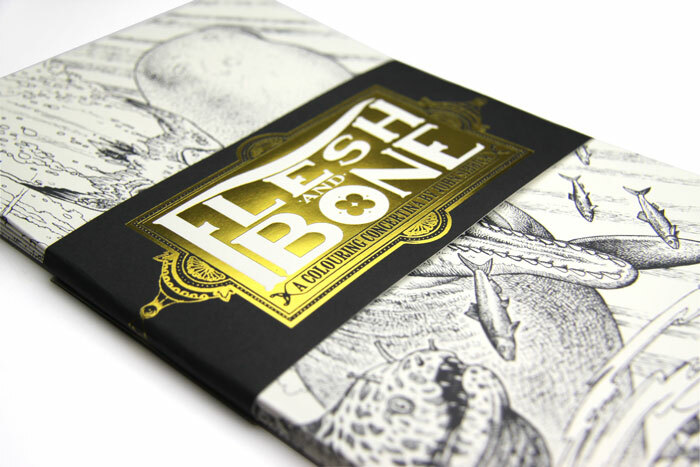 Flesh and Bones Pre-order Available Now! This beautiful concertina book, on the other hand, gives you an intimate look at what animals you may have actually seen or at least have seen photographs of, look like on the inside. In the great spirit of those diagrammatic natural history books we all loved as children, Nobrow and John bring back the sense of wonder the natural world holds in all its awe inspiring complexity. Flesh and Bone folds out to a stunning 136 cm double-sided panorama, one side displays the animals as they appear in nature (with some playful twists) and the other side shows those same animals stripped down to bone. 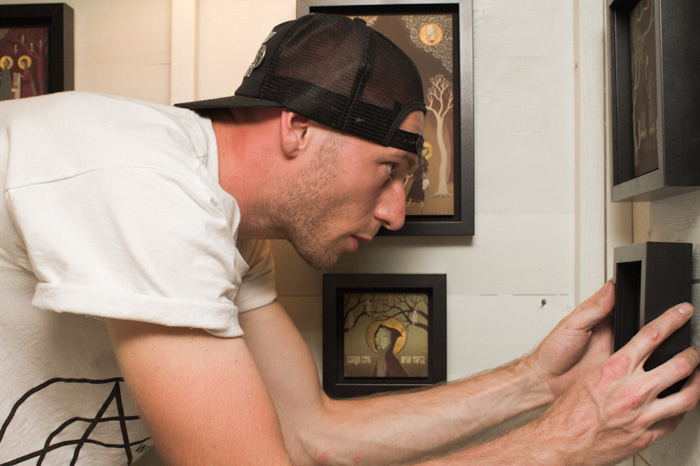 Only an experienced artist with as intimate a knowledge of animal anatomy as John, who clients frequently include National Geographic and Puffin books, would be capable of such feats of visual dexterity. It’s available for pre-order on our website now shipping with 5 free postcards on 31st May. One of the features of our latest issue, A Few Of Our Favourite Things, was that every spread had to work as a repeating pattern as well as a single image. Take several of these spreads, repeat them and what have you got?.. 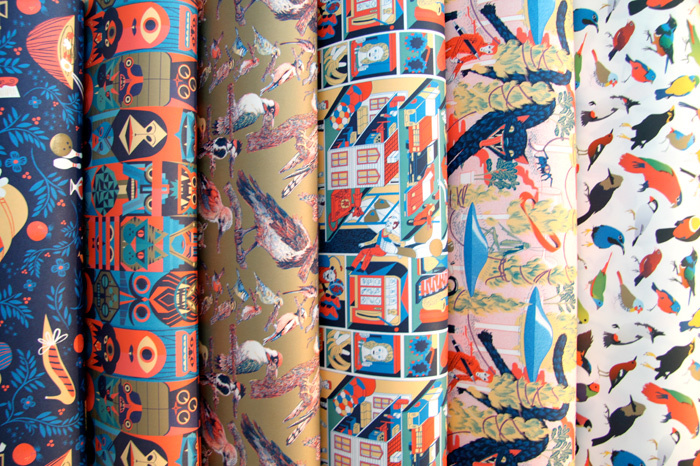 A range of beautifully printed wrapping paper designed by some of the best illustrators in the world!! New Ghost is Out Now!! 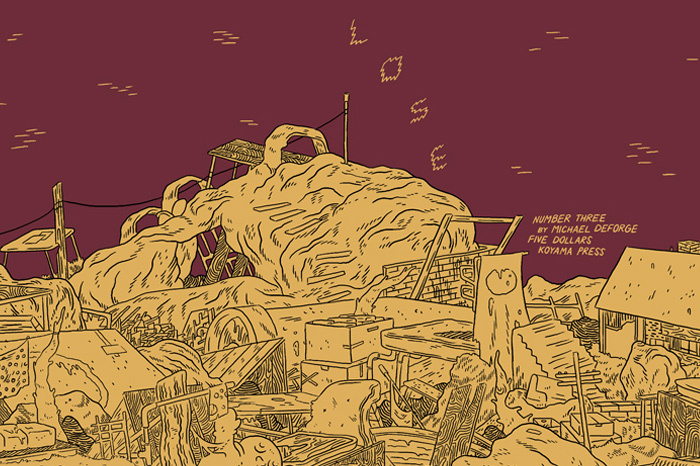 Rob Hunter’s first comic for Nobrow Press took TCAF by storm, selling out on the first day of the event! 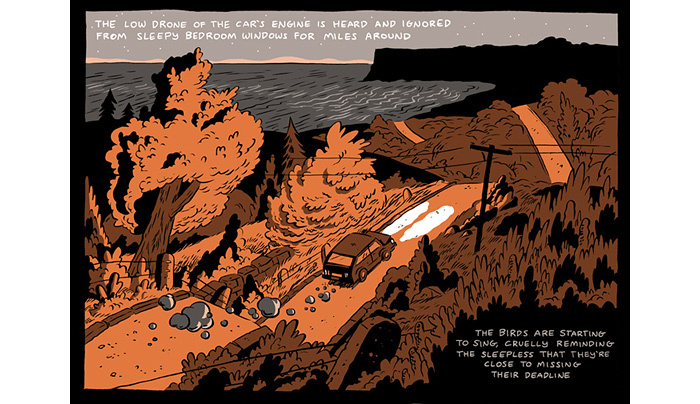 The book is a beautiful, poetic story that is surprising in its adeptness for the medium of graphic storytelling, considering it is Rob’s first attempt at a self contained comic book. We absolutely love it and were extremely proud to publish it, and we think you will rather like it too. 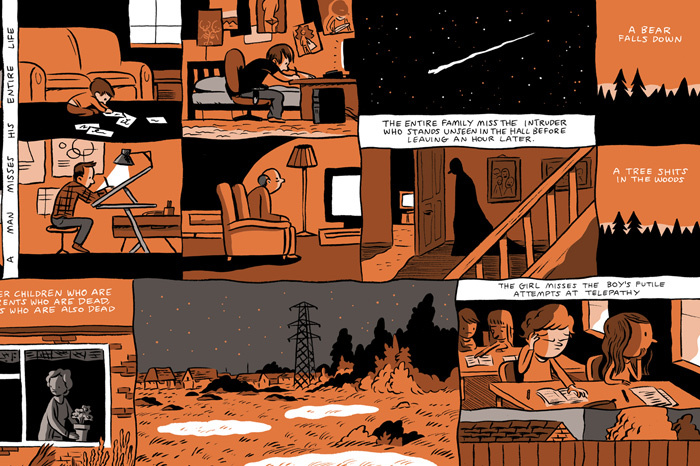 Here’s a preview of Everything We Miss by comics prodigy Luke Pearson. Luke’s latest offering will be, as the title suggests, a compendium of the things that we happen to miss when something else seemingly more important comes along. It will be available for pre-order with a limited edition poster from early June. 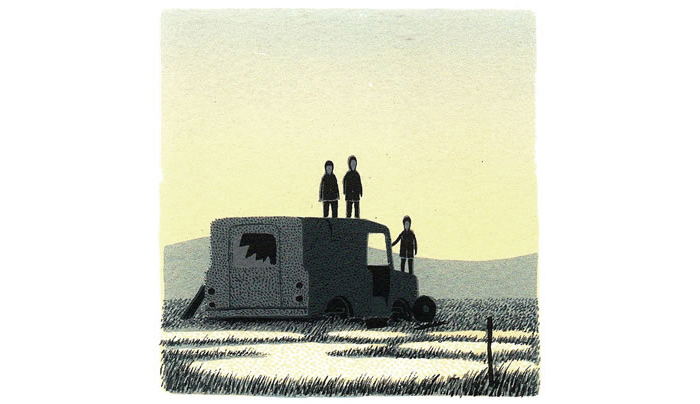 Read More..
There’s a really good interview with the excellent Jon McNaught over on Paul Gravett’s site. The interview features some fascinating process shots while the introduction has Seth enthusing about Jon’s books… High praise indeed. A big thanks to everyone who came down to the Opening of Under The Damp Earth last Thursday. It was a real pleasure. We are proud to announce that Forming Vol 1, the first part of Jesse Moynihan’s epic trilogy, will be hitting the shelves of all good comic book stores in the UK on the 22nd of June 2011 to an eager crowd of fans and newbies alike. In the spirit of keeping you all better informed, we asked our good friend Martin Steenton from ATF to distill its varied and complex narrative landscape into the readily and easily digested form of a blurb. Spoiler Alert: if you do not already form part of Jesse’s huge and adoring fan base, some aspects of the plot may be revealed in this write up past the ‘read more…’ section. 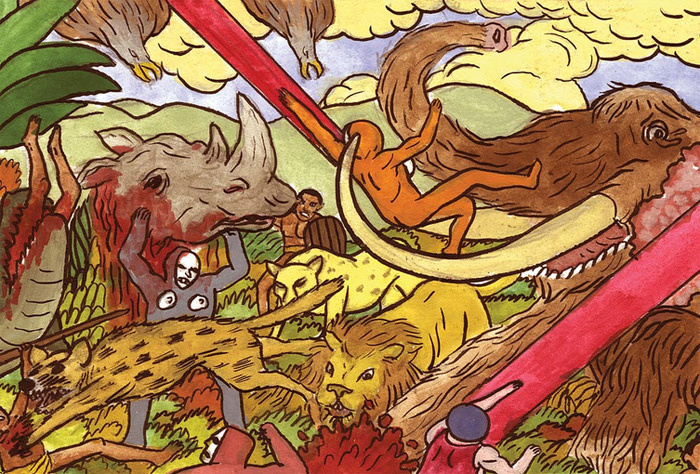 Since the dawn of human history, we as a species have sought to understand our existence through creationist fables of omnipotent deities, mythical creatures, and speculation of what—or who—may lie beyond the stars. In Forming Vol. 1, Jesse Moynihan takes these 50,000 years of socio-religious postulation and throws them in the blender to create one epic—and irreverent—battle royal between alien gods, Ancient Greek Titans, interplanetary assassin droids, and humanity itself. Read More..
Hey Canada! We are coming to Toronto this weekend. We are arriving at TCAF in style with Rob Hunter’s New Ghost! It’s going to be the only place in the world where you can get Rob’s amazing debut comic until it’s officially released. You will also be able to peruse many of our other products which it might not be so easy for you to access in your fair country. Anyway, the line up for TCAF is unbelievable, we are incredibly excited to be a part of such a stellar event. If there’s any way of you making it you have to do it! and it’s free. 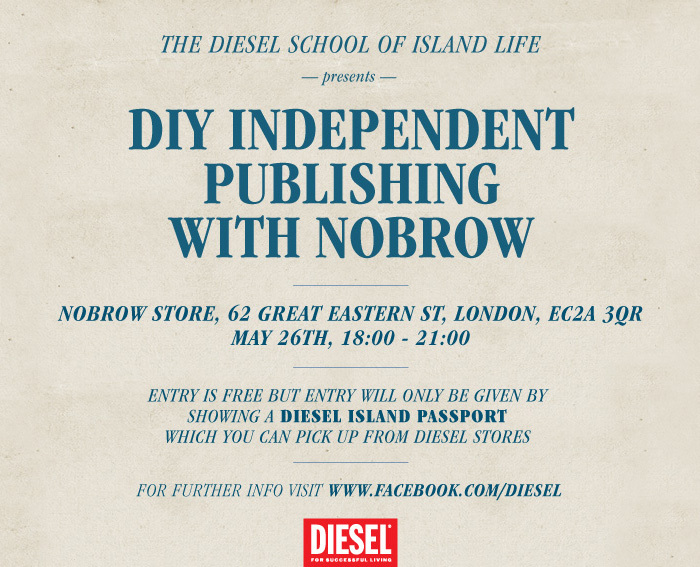 All week this week, the über-talented Stuart Kolakovic will be prepping his show at NBHQ on 62 Great Eastern street, our great friends at itdrewitself have been and will be covering the process throughout. Here is a link to their flickr for updates on what is going to be a tremendous show – if the snippets we can see here are anything to go by. If you would like to attend the show this Thursday, please RSVP now!